Castle Conservatories are the leading design and build company for conservatories and orangeries in Surrey and London. With over 25 years’ experience designing and installing we have the in-depth knowledge and technical ability to give you the best advice and to project manage your ideas into your dream build. We understand that extending you home in this way is a considerable investment and we pride ourselves on getting your customer experience right to deliver outstanding solutions to extending your home. Leading the Castle team is Paul Jones who has been managing Castle Conservatories since 2010. Paul has designed all of the builds featured in our case studies on our website and works to ensure a smooth journey from design through planning to the final installation on all Castle projects. Tina is the go- to person of the Castle Team managing the day-to-day running of the office and looking after client experience. Tina is the first point of contact throughout our build projects ensuring that all our clients have a personal service. “Do not hesitate in commissioning Castle to build your conservatory or orangery. I now have the most amazing orangery which was built to the highest standard. Everyone of the team of builders without exception were punctual, very friendly and extremely hardworking. The whole operation ran very smoothly with time targets adhered to at all times. 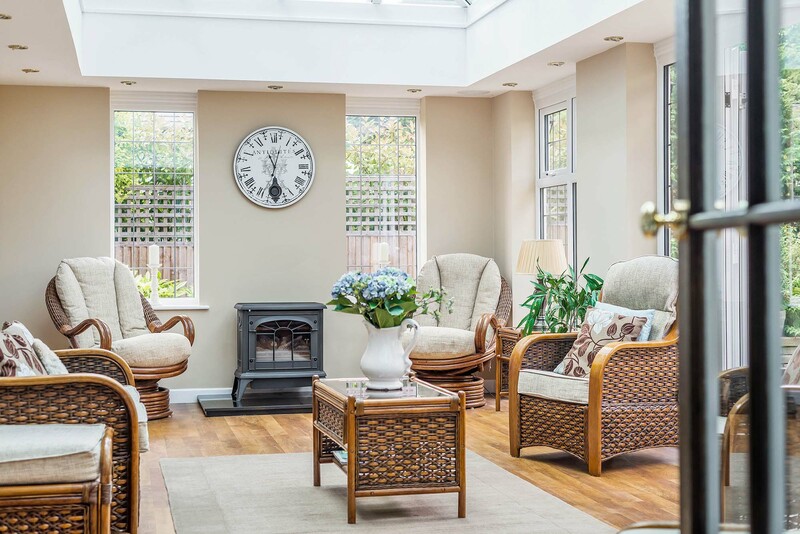 “We are delighted with our new conservatory and would like to say that not only was the price competitive, but the service was very professional and the total finish excellent. Our construction team consists of builders, glazing specialists, electricians and finishers who will ensure that everything is executed to our high standards. Hand-picked to deliver outstanding quality our Construction Team are often praised for their customer care, good manners and tidy and efficient way of working, that is why so many of our clients recommend us to their families and friends. Based at Woodcote Garden Centre in Wallington our showsite enables you to experience our builds first hand. With five buildings on site you can relax in one of our conservatories/orangeries and really experience what it would be like to have the extra space as part of your own home. Our showsite is open 7 days a week (except for Easter Sunday, Christmas Day and Boxing Day) and a member of our team is on hand to give you advice. There is ample parking on-site and our builds are easily accessible for disabled visitors. Looking For A Quote On Your New Extension, Conservatory, Windows or Doors? If you require any information about our marketing and advertising programme please email Kate@castlecon.com who will be happy to deal with your enquiry. We are unable to answer any marketing queries by telephone.